I am so excited to celebrate Earth Day with all of you – so thank you for reading and being a part of juicy green mom. Now more than ever we need to focus on doing the R’s for our earth. There are lots of Earth Month and Earth Day challenges out there, so I hope that you have been able to participate in some way! We live in a very disposable society, where many things are created for one-time use, then thrown away. Consider refusing disposable straws and utensils when you eat out by bringing your own with you. 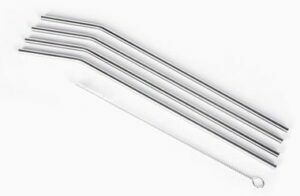 Reusable straws are actually easy to find – stainless steel, bamboo, and glass ones are all great options! I love using stainless steel straws or glass straws (you can get glass straws in Edmonton at Carbon Environmental Boutique!). 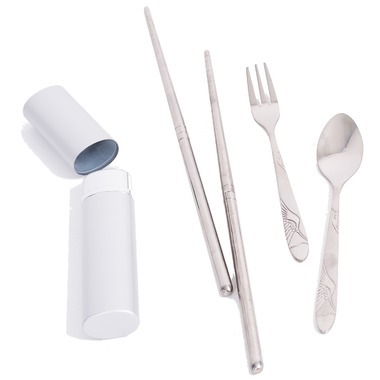 And I love this little stainless steel cutlery set because it’s so compact! Refuse plastic bags at stores and use your own reusable bags. Each time you refuse a disposable item, you are reducing what goes into the landfill! We can all reduce the amount of “stuff” we have. Consider donating your stuff to charity or selling it on a swap site. We can reduce our time driving (and therefore burning gas) by walking, biking, or taking public transport. We can reduce the energy we consume in our homes by implementing smart energy-efficient solutions. Reusable bags are great for shopping! Consider reusing other things that you might toss into the garbage or reycling, like food containers, newspaper, cardboard boxes, etc. This year I planted some seeds in toilet paper rolls and juice cartons to get ready for gardening! I love a good repurpose or upcycle project! It makes me feel proud when I repurpose something. The possibilities are endless for what you can do with random things around the house! For example, my DIY Tutu Hair Clip Holder repurposed some tulle, a pencil, and a scarf into something much more useful! Recycling is wonderful because it diverts waste from landfills. But I agree with those who say that it should be the last R because it still takes a lot of energy to recycle old stuff into new stuff. The other 4 R’s should be considered before you throw something into the recycling bin. That said, recycling is way better than throwing into the garbage! Familiarize yourself with what your region’s recycling programs do so that you can be an informed recycler. If you’re in Edmonton, check out the City of Edmonton’s Waste Wise app to figure out where to bring your stuff to recycle! If you’re in Canada, London Drugs has some great recycling programs you may not even know about! Check out my Earth Day post on This Bird’s Day about recycling at London Drugs. This year I will be pledging to REFUSE more often. I have a cutlery and straw set for my daughter that I carry around for her to use, but not one for myself. I will be putting together a kit for myself and my husband so we can all REFUSE disposable straws and cutlery when we are on the go. What will you pledge to do for our earth today? Participate in RedEnvelope.com‘s Earth Day pledges by tweeting what you will do to give back to our earth. Tag @redenvelope with the hashtag #redgoesgreen to share your pledges! This post was linked up to Way Back Wednesdays at Creating My Happiness. Following #30DaysGreenerChoices has given me so many new initiatives to try that it will keep me busy all year catching up with their Earth Month’s worth of suggestions. So glad to hear that! #30DaysGreenerChoices is a pretty cool way to rethink so many of our everyday actions! Totally agree with you, Agatha! Also refusing things like plastic cutlery or straws when eating out is a big one on my list! 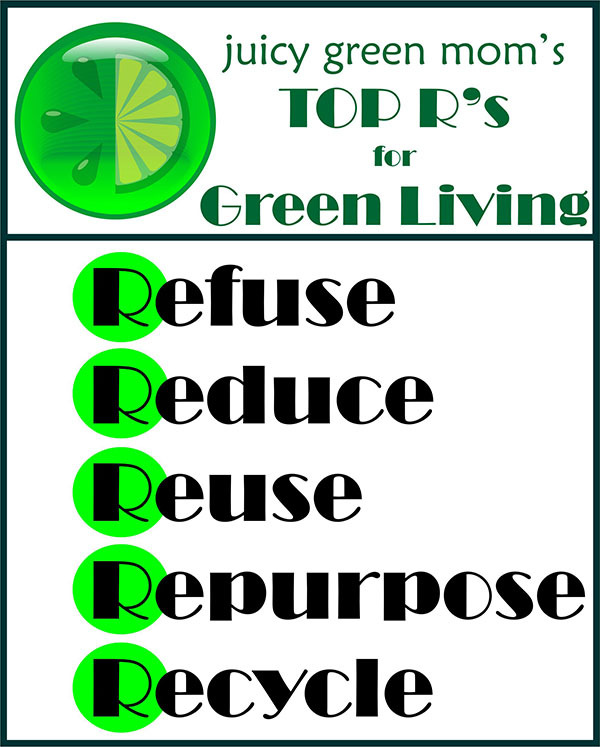 Thanks for sharing the top R’s for green living. I plan to ‘Reduce’ soon as I want to do a car boot sale or donate some old stuff which other people might benefit from. However, I do walk and/or cycle to work most days so I do try and do my bit 🙂 Great post! 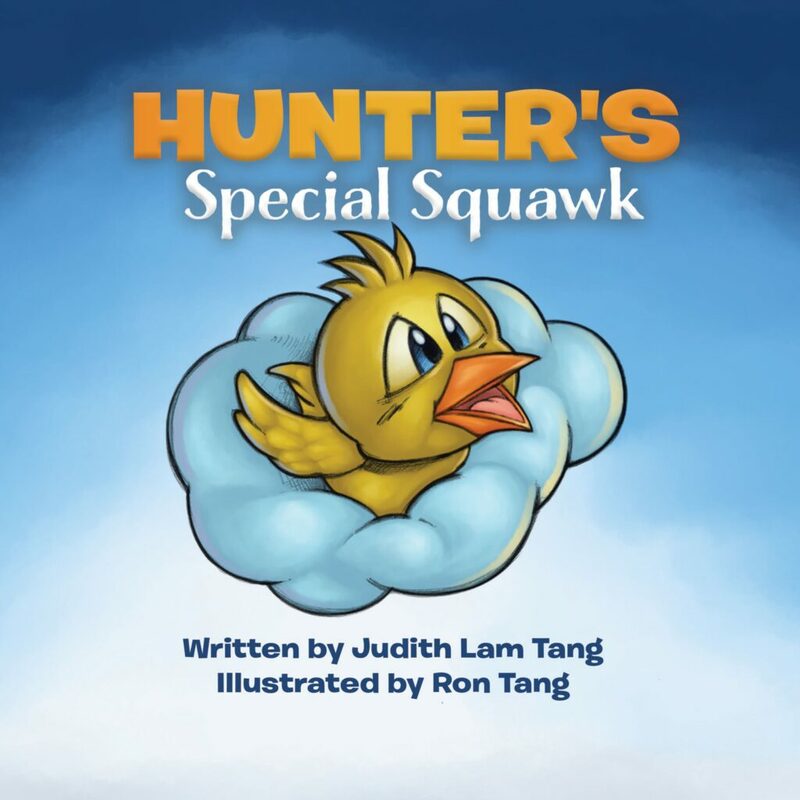 Thank you – and thanks for sharing!